Mexican-style grilled corn is a summer must have! With 10 minutes and some inspiration, I made an extra-speedy version without the grill. 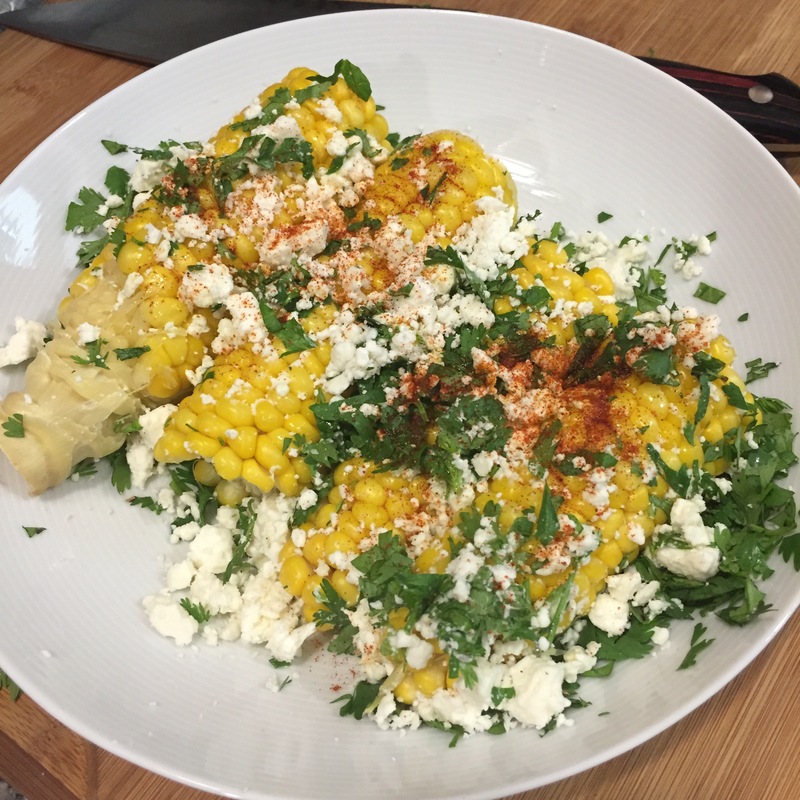 Toss the hot corn in the lime juice, then add the remaining ingredients. Enjoy!